Bella Union are thrilled to introduce new signings Penelope Isles. Currently putting the finishing touches to their debut album, the band have shared a video of them performing a new track entitled ‘Chlorine’ which can be viewed HERE. “It’s a song we often open our shows with, so it felt right to have it as the first single off the record,” say Penelope Isles. Bright and brisk, wide-eyed and wistful, ‘Chlorine’ is a dreamy introduction to the instinctive charms and alt-rock chops of the Isle of Man-via-Brighton quartet, forged around siblings Jack and Lily Wolter. After a buoyant guitar-pop opening, ‘Chlorine’ harbours a tale of what the band call “a heart-breaking family divide”. Its potency heightened by the juxtaposition between the band’s fiery lead-guitar sorcery and sailing three-part harmonies, it’s a song of tremendous melodic calm and emotional rip tides, inviting and immersive. Self-produced by Jack and recorded in Brighton’s Bella Studios, ‘Chlorine’ is a hypnotic teaser for Penelope Isles’ debut LP, due for release this summer. 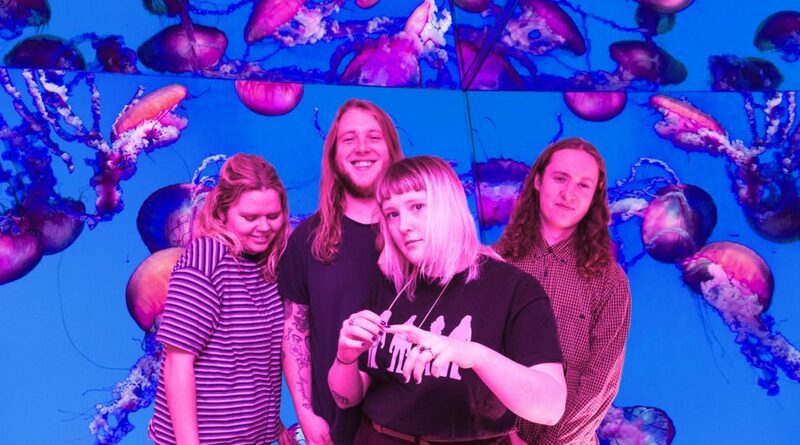 Between its chiming dream-pop, fuzz-noise waves, indie-psych currents and lustrous melodies, the album is a transporting show of expansive DIY vision, its elemental metaphors a fertile backdrop for the band’s innate inner chemistry and acute grasp of contrast. Crisp and woozy, blissful and biting, it’s also an album powerful enough to sweep you away live. Penelope Isles have already garnered support from The Line of Best Fit and DIY for their excellent live shows.